Constantine vowed to "have nothing in common with the most hostile rabble of the Yahudim." In saying this, all behavior associated with the Yahudim was suppressed, and all the patterns of Sun worship were re-invented and adopted. The "old Commandments" were overruled and abandoned. "And by this we know that we know Him, if we guard His commands. The one who says, 'I know Him,' and does not guard His commands, is a liar, and the truth is not in him. But whoever guards His Word, truly the love of Yahuah has been perfected in him. By this we know that we are in Him. The one who says he lives in Him ought himself also to walk even as He walked. Beloved, I write no original unfamiliar command to you, but an old command which you have had from the beginning. The old command is the Word which you heard from the beginning." Christianity slowly developed at the Catechetical School of Alexandria, Egypt over several hundred years, beginning in about 190 CE. The head and founder of this first school of Christianity was Pantaenus, and over time other men became the headmasters, such as Clement, Origen, Epiphanius, Tertullian, Augustine, and so on. These are called the "fathers" of the "church", and yet in their writings they describe a sect called THE NATSARIM, who are the first followers of Yahusha, the Mashiak (see Acts 24:5). These fathers called the Natsarim heretics because the Natsarim were teaching and obeying the Commandments of Yahuah. From this School of Alexandria, bishops were spawned who promoted doctrinal control, and these Nicolaitanes propagated a hierarchical ruling class that controlled all teachings. The stage was set for a centralized, fascist corporate entity to arise. That opportunity appeared when a man with universal power seized control over religious beliefs. Constantine brought his empire together, universalizing (catholicizing) the diverse religious traditions through special Councils and official edicts. His empire was fractured with many different religious systems, so he sought to invent a religion that would appeal to everyone, and thus bring peace. Sun-day was declared a day of rest, which appeased the majority, which were Pagan sun-worshippers. 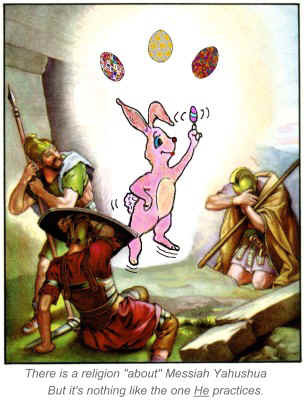 Easter (Ishtar, Asherah) was another familiar Pagan festival, which he mixed up with the resurrection of Israel's Mashiak, Yahusha. Bringing together many religions into one, he produced the first hybrid system, which Scripture represented as a multi-headed beast. The various heads of this beast are the many Pagan religions brought together into one functioning entity. Syncretism, Supersessionism, and Replacement Theology are all related efforts to this "universal" religious merger. SUPERSESSIONISM "According to Supersessionism (also sometimes called replacement theology), the bloodlines of Israel are either no longer considered to be Yahuah's chosen people, or their proper calling is frustrated pending their acceptance of Yahusha as the promised Mashiak." -- Wikipedia (proper terms mine). Supersessionism is entirely a Gentile's appraisal of the situation, and seriously flawed. Yes, that is a vintage meat grinder above with Constantine's head on it. 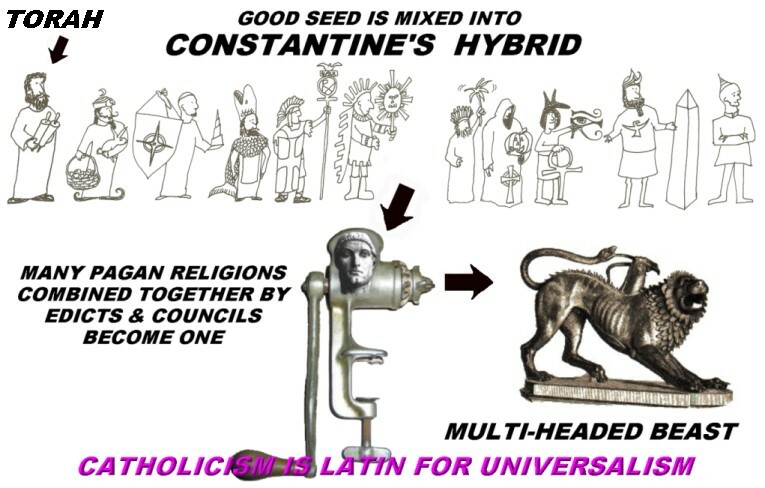 Out of this hybrid, a "little horn" (power) grew up in the midst of the other horns described at Daniel chapters 7 & 8 ~ this includes ISLAM, since it also emerged from a fusion of Paganism and Catholicism (they BOTH pray to "Mary"). They both have prayer beads. They are different, yet still part of the beastly reign, the old star religion of Nimrod (Astrology). Between the coming of Yahusha ha'Mashiak and Constantine, a period of almost 300 years, a slow transformation occurred. The faith ceased to be that of Yahusha, and became a religious authority dictating beliefs. Our Constitution or wedding vows is the Covenant, the TEN WORDS. They train us how to love, and with them we will rule WITH Yahusha if we are found to be worthy servants of our King. He is also our High Priest. Hebrew elements, especially the Words of Yahuah (His Commandments), were opposed by the anti-Semitic Church fathers. 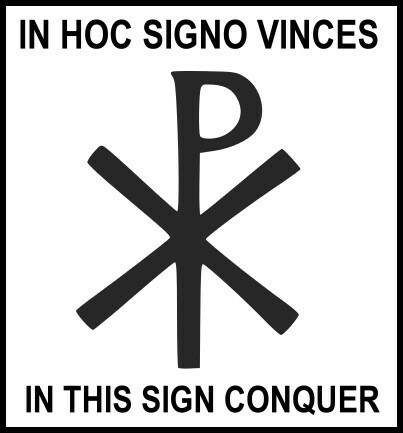 Constantine's revisionism began a process, melding Paganism together with the Mashiak of Israel - hybridizing Paganism with the Truth. Borrowed Pagan processes poisoned humanity so severely, and tyranny reigned so supremely, that the period from Constantine and the Reformation has been called the Dark Ages. Catholicism reigned supreme for over 1000 years. The Knights Templar, Opus Dei, Frere' Macon, Illuminati, Jesuits, and the Inquisition were the ultimate fruit of this dark, nicolaitan organization begat by Constantine, the Roman Catholic Church (RCC). Natsarim are now arising on the hills of Afraim, among the nations (Jer. 31). We are the watchmen (Natsarim) who are working to restore the original paths to walk in, and repair the breach. 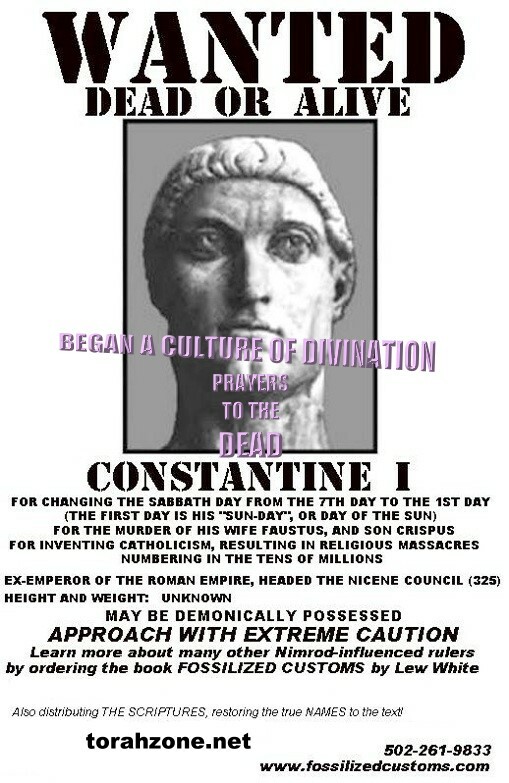 Constantine made Christianity the official religion of the Roman Empire. He didn't adopt a religion, but built it out of already existing ones - to bring PEACE to his empire. His goal was to "univeralize" the diverse beliefs into one state-sponsored religion that would appease the majority of those he ruled, and that majority was like himself, PAGAN. "Catholic" is Latin for universal. 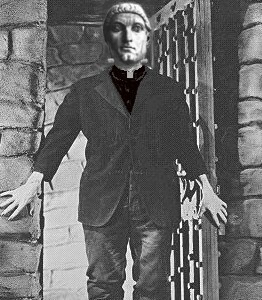 He is a saint to the Catholic (universal) hierarchy, yet he murdered several members of his family, and his close friend. It's necessary to be a saint while you're alive and living among us, if you intend to be a saint at any later time. 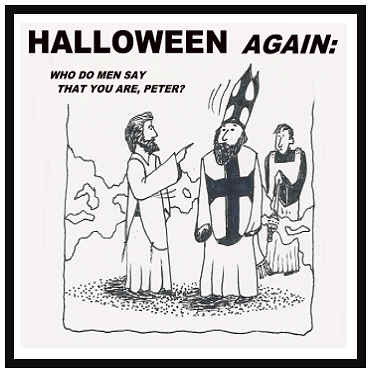 The way we distinguish between who is a saint and who isn't is by whether or not they keep the Commandments of Yahuah. As emperor of Rome, Constantine inherited the titles of the Kaisers, including Pontifex Maximus, and the title of pope, or father of the empire. The title pope was bestowed upon Kaiser, who was a priest and a king. Kaiser's position was one of absolute power and authority. The concept of FASCISM was borne from Kaiser's totalitarian reign over both moral and secular aspects - his decisions were not questioned. He sat as an all-wise SHAMAN priest, and was the high priest of Janus. But he was also considered to be Alahim; even his image had to be bowed to as a person would enter a public building. In his presence, a person had to genuflect before him, just as we see the Roman Catholic institution requires of their devotees in their Pagan temples. It is customary for visitors to bow on one knee and kiss the ring of the pope today. Constantine would officially be the 1st pope of the Catholic/Christian Church, since no bishop of Rome ever conceived of such a title as pope being associated with himself. Neither were there any other elders (bishops) anywhere else thinking they were the "head" of any Earthly reign over the Body of Mashiak. 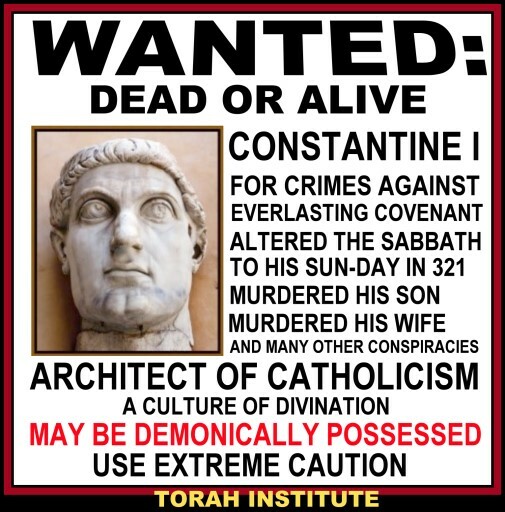 What's wrong with Constantine's Christianity? If Yahuah doesn't mind that we've changed a few things, what Scripture tells us we can do so? CONSTANTINE ESTABLISHED THE FIRST "SUN-DAY LAW"
Many inherited errors are found in the writings of Constantine's historian Eusebius. 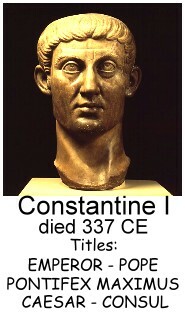 He recorded the Ecclesiastical History, and the Life of the Blessed Emperor Constantine. The RCC (and the Protestants) consider Eusebius to be a Church Father. But, the official outlawing of the 7th day Shabath was through the Council of Laodicea in Phrygia Pacatiana 364 A.D.
Canon XXIX. : "Christians must not judaize by resting on the Shabath, but must work on that day, rather honouring the Lord's Day; and, if they can, resting then as Christians. But if any shall be found to be judaizers, let them be anathema from Christ." Judaize? Is Yahusha a Judaizer? Did He not give Israel the Torah? There's only one body of Mashiak, not two. And, Yahusha is the Mashiak of Israel, so why would an Israelite have to change their way of living (religion) to accept their own Mashiak? If we are to walk as Yahusha walked, it would be hard to explain why we would not have a Passover, or Shabath day (the real one), or the appointed festivals He lived by (and as Alahim, gave them to Israel). Also, it is far more likely that Goliath of Gath had an Easter basket and solstice tree than our Mashiak did; after all, these items are rooted in idolatry, not the Torah of Yahuah. The universalizing of the diverse religions of the Romans has had its effect. Constantine started the ball rolling, the goal being to purge the new faith of all remnants of the Ioudia (Yahudim/Jews). The faith was altered beyond all recognition, and adopted all the patterns of Nimrod's Sun worship. "All things whatsoever that it was duty to do on the Shabath, these we have transferred to the Lord's day." (Hebrew term BAAL means LORD). That statement shows that Constantine transferred the duties of the Shabath to his Sun-day. It was an edict enforced under pain of death. When Yahusha told us, "pray that your flight not be in winter, or on a Shabath" (Mt. 24), do you imagine He was only talking to future "Judaizers" that may still be clinging to the non-Catholic error of resting on the true Shabath? Yahuah does not change or vary His ways, yet people can't seem to solve the most simple of puzzles concerning how the true Shabath became Satyr-Day, and the Pagans' Day of the Sun became Rome's day of rest. Constantine did not outlaw Pagan practices in the least, but universalized the diverse beliefs of his empire. WHO ARE THE THE JUDIAZERS ? (Feel free to copy this poster by right-clicking on it and saving it as a picture. Print-out some of them). copy & share anything on this site! Constantine's Edict of Milan (313) outlawed the persecution of foreign religions. Several gnostic forms of what was to become known as Christianity were still in their primitive stages. There were also Natsarim, the sect within the Israelite faith that remained faithful to the Torah, and kept close guard over the Commandments, while believing in Yahusha faithfully. This edict or proclamation of Milan established a toleration for foreign religions, which included the Natsarim and related gnostic sects. People who would otherwise be arrested and sentenced to death became protected by this edict. Edict of Constantine (321) established the Sun-Day as the day of rest for the empire, and carried the death penalty for violations. Farmers were exempted if they had to conduct their duties, but urban dwellers were expected to honor the sun by resting. Natsarim living at that time had to rest on both days, and so this produced the "weekend" we have now in the western world. Eventually, the State religion (Catholicism) outlawed resting on the true Shabath, and persecuted the Natsarim for it (Epiphanius is one church/circus father that wrote of the Natsarim, referring to them as heretics because they continued to obey the 10 Commandments). The change of the day of rest was predicted to occur at Daniel 7:25. This beast thought to change times and law. SYNCRETISM definition: "The attempt or tendency to combine or reconcile differing beliefs, as in philosophy or religion. Origin of word: Greek, sunkretizen — to unite in the manner of the Cretan cities. SUN together, + Kres (stem Kret ) Cretan." 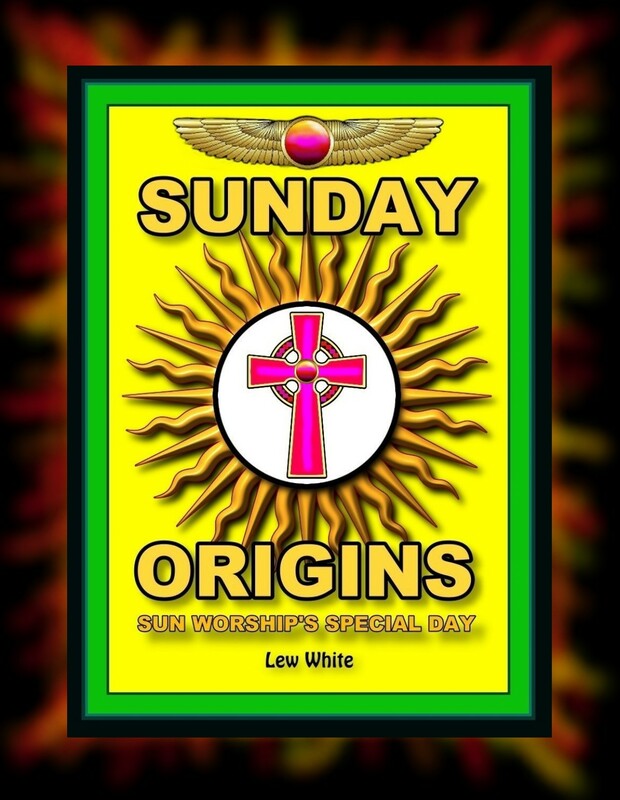 One example is the adoption of many Pagan elements and customs by worshippers of the true Creator, Yahuah, in order to appeal to former idolators (a practice prohibited by Dt. 12). NIMROD The best and oldest source for information on Nimrod is the book called Genesis (or Bereshith, "in the beginning"). The Scriptural references to him can be found at Gn. 10:8,9, 1Ch. 1:10, and Micah 5:6. He is the first "king" on this planet, at least after the Great Flood in 1656 A.M. (Anno Mundi, "year of the world"). He was a rebel, and the name "Nimrod" has come to mean tyrant, and rebel. Sometimes we hear it used as a synonym for cretin, or a very stupid person. The word "cretin" comes from the Greek word root, Christian. The original followers of Yahusha (of Natsarith) were called Natsarim, as you will see that Paul (formerly Shaul) was a "ringleader" of the "sect of the Natsarim" (Acts 24:5). More can be studied about Nimrod from other sources in secular history, however the oldest and most reliable data comes from Scripture. Constantine followed in the footsteps of Nimrod the tyrant. “Let no one deceive you in any way, because the falling away is to come first, and the man of lawlessness is to be revealed, the son of destruction, who opposes and exalts himself above all that is called Alahim or that is worshipped, so that he sits as Alahim in the Dwelling Place of Alahim, showing himself that he is Alahim.” (2 Thess. 3,4). Christianity: a religion with a Greek name that is blamed on the Mashiak of Israel. Catholicism: a religion with a Latin name, started by Constantine I. IN THE STAINED GLASS ABOVE, YOU CAN SEE THE “STAR” OF BETHLEHEM - BUT IT’S REALLY THE PAGAN CRUX EMBLEM OF THE BABYLONIAN SUN DEITY, SHAMASH. THEY HIDE IT OUT IN THE OPEN FOR ALL TO SEE. BELOW IS A MUSEUM PIECE DISPLAYING THE IMAGE OF SHAMASH, THE SUN; THE PHOTO SHOWS AN INCENSE BURNER USED BY THE PAGAN PRIESTS OF SHAMASH. Catholicism brought these symbols into the faith, along with Sun-Day, and the Pagan calendar. Read Dt. 12 if you believe this behavior is acceptable. A FEW COMMENTS ON THE WORD "CHRISTIAN" What were they REALLY called? Where did we get the form "JESUS" from? Is the author of Revelation still alive? What about that KIPA or Yarmulke ?